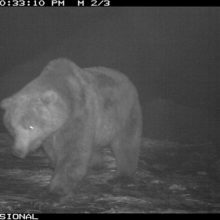 In Kronotsky Reserve, the first bear this year, who left the den, was met. 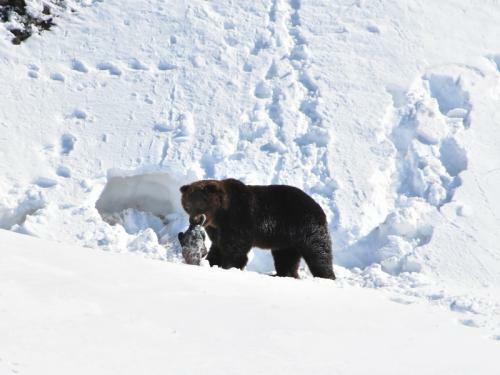 Awake from the hibernation of the male was seen by security guards patrolling the coast of the bay of Olga. 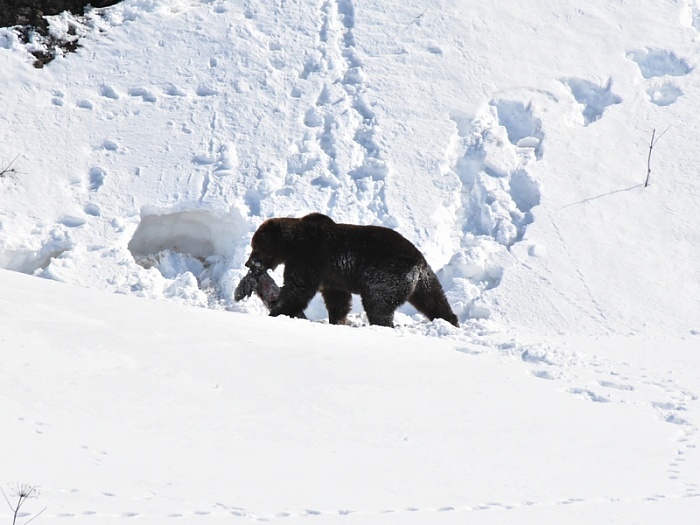 The beast was caught at a meal, so for safety reasons the planned route had to be postponed. 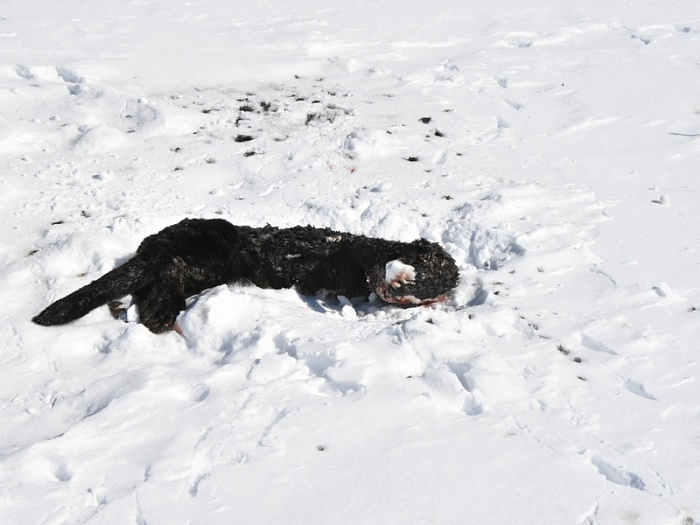 A few days ago, on foot patrols on Cape Povorotny, located 9 kilometers from the cordon of the Kronok, security officers of the Kronotsky Reserve discovered traces of a large kalan salmon. 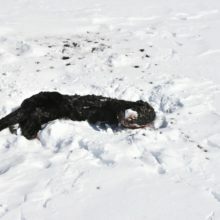 To further monitor the animals, a photo-trap was installed on the site of the find. 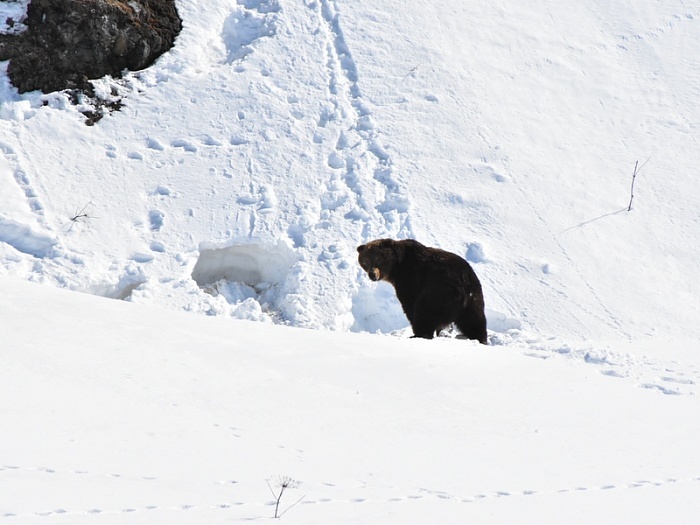 The mass output of brown bears from the den in Kamchatka begins in mid-April, but at the end of March, as a rule, single adult males already appear. 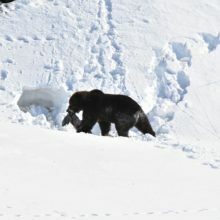 As experts say, in males during hibernation, hypodermic fat is consumed faster and they start to experience hunger earlier than females. 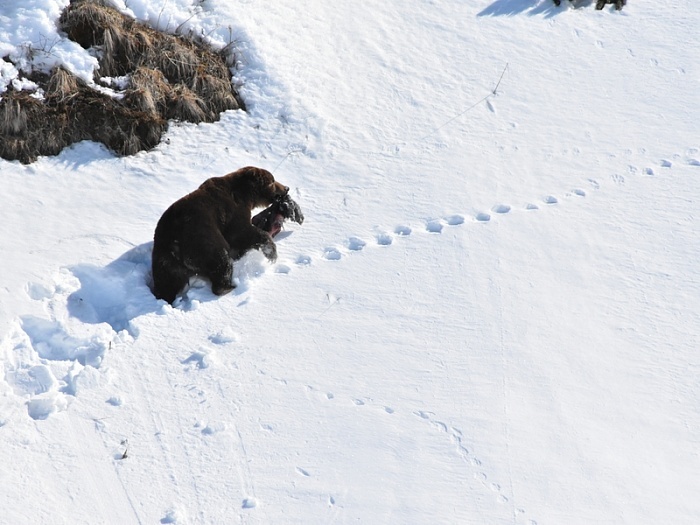 Bear cubs with two-three-year-old cubs leave their den when conditions of the environment become more favorable. 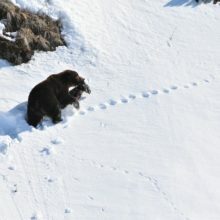 Females with juveniles (cubs born in the end of January and February of the current year) leave the winter shelters rather late: at the end of May – June, when the snow cover comes off. 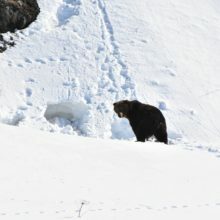 Bears that live in the reserve on the Pacific coast, after emergence from hibernation feed on the fish thrown ashore, dead marine mammals, they can get a weak seal or sea otter, and at low tide they eat rich bivalve molluscs rich in protein. 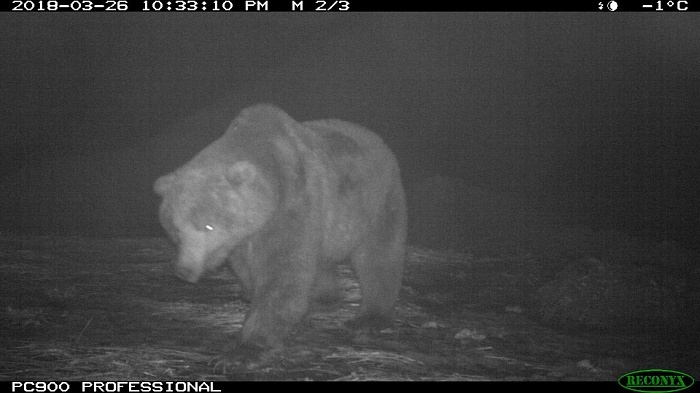 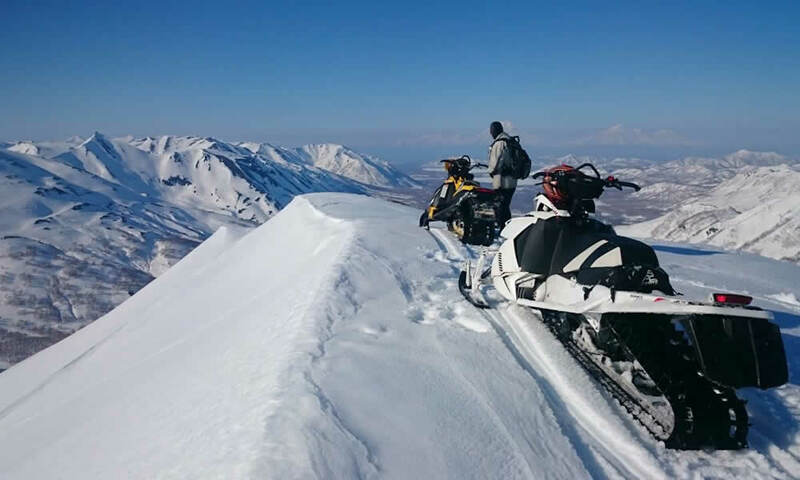 Add that the Kronotsky Reserve and the South Kamchatka Federal Wildlife Refuge named after TI Shpilenka are home to the world’s largest protected soupupulations of brown bears with a total number of more than 1800 individuals.